Fort Worth continues to grow each year. And as our city expands, an increasing number of homes and businesses are experiencing rat problems. Both brand new buildings and those that are older are susceptible to infestation, so it’s important to stay on the lookout for the signs of an issue. Things like foul odors, droppings in or around your home, or scratching noises inside your walls are a sign that it’s time to call the professionals at Critter Control® of Fort Worth. We have developed a highly effective four step process for removing rodent infestations from homes and businesses. Inspect – First, one of our expert animal removal technicians inspects your home or business to determine where the rats are entering and how severe the infestation is. Remove – Once we assess the situation, we use the most cutting-edge methods available to remove every last rodent from your building in an efficient manner. Repair – After removing the offending critters, our technicians are able to clean up, repair, and restore any damage caused during the infestation, making it seem like nothing ever happened. Exclude – The final step in our process is to make sure the offending rats cannot return. We seal off entry points like ventilation ducts, and fix any holes or cracks that critters may use to gain entry into your home. 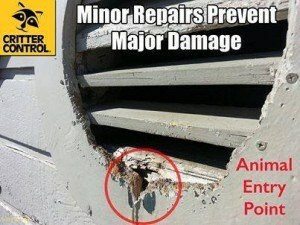 If you’ve noticed any of the signs of rodents in your home or office, don’t hesitate to give us a call. The faster you seek help, the easier it will be to eliminate any infestation. 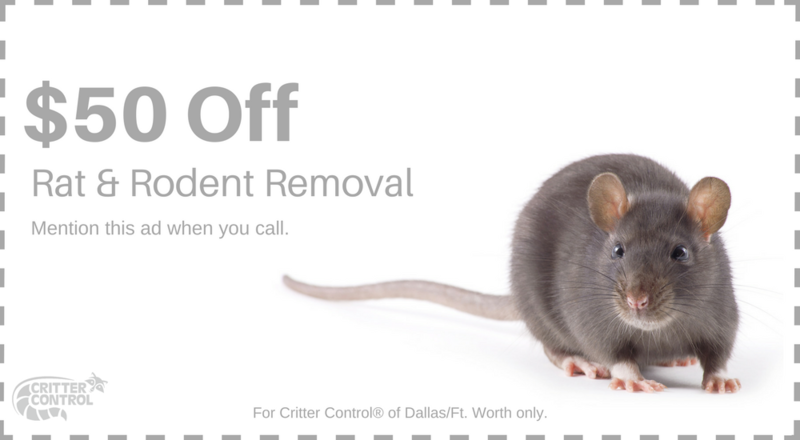 Give Critter Control® of Fort Worth a call today at 469.805.6267 to set up your free home estimate.